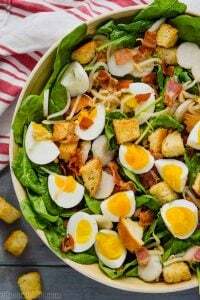 Everyone loves a good brunch, right? Brunch, with glorious quiche, bacon and of course, the perfect cocktail. 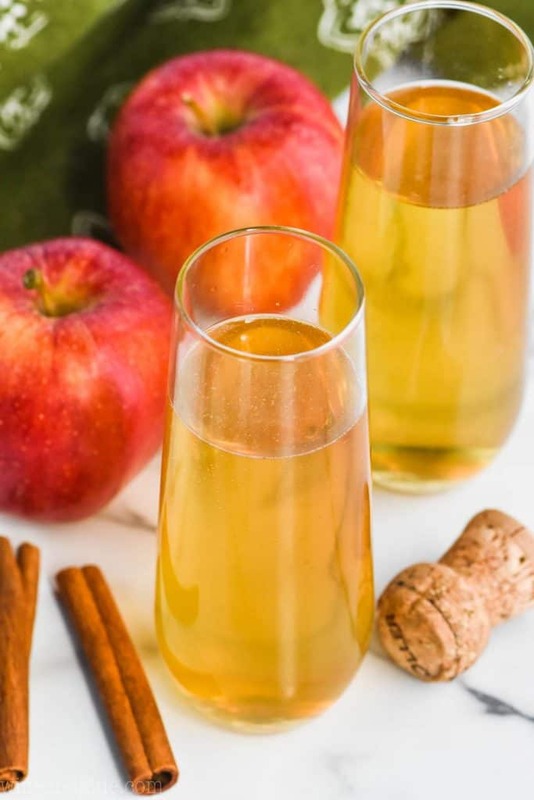 This Apple Pie Bellini brings the glorious taste of Fall to the table by taking advantage of simple seasonal flavors that’ll make your taste buds sing! 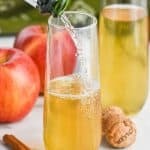 WHAT MAKES THIS BELLINI RECIPE UNIQUE? 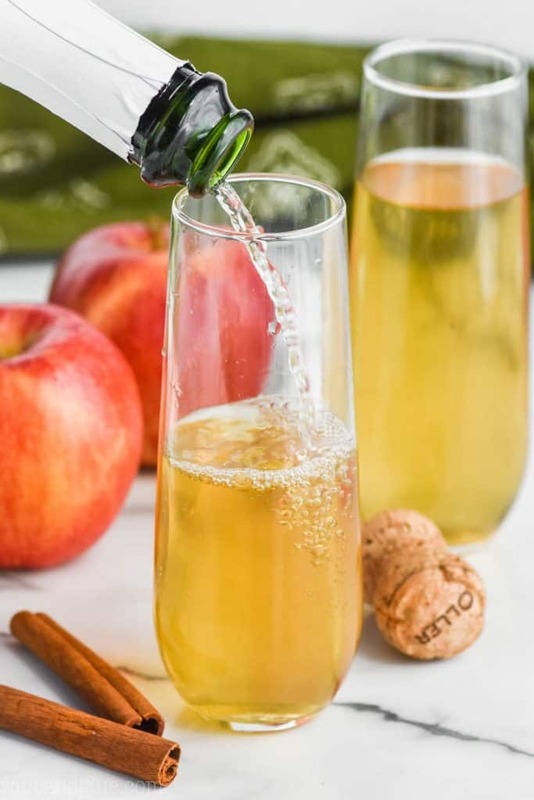 You will love this twist on the traditional Peach Bellini recipe, with rich vanilla vodka mixed with your favorite champagne and tangy apple cider. 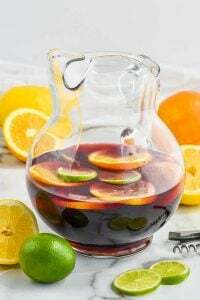 Did I mention this easy Bellini is only three ingredients? Oh yeah, that makes it all the sweeter, right? 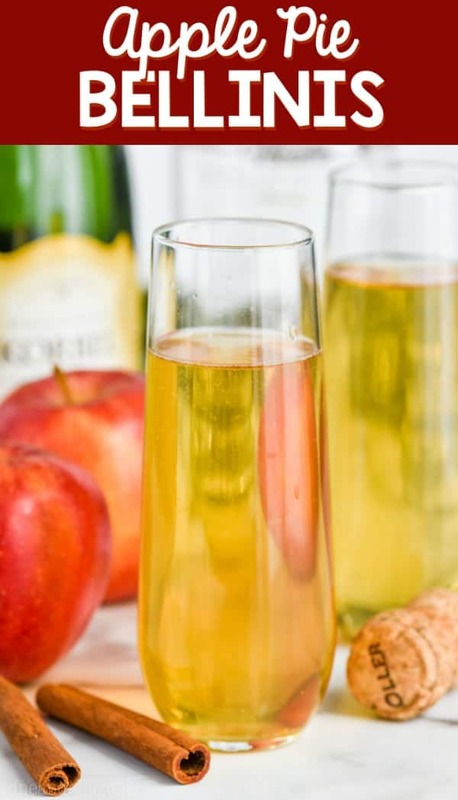 Try this Strawberry Bellini, Amaretto Orange Bellini or this bubbly Champagne Punch Bellini for beautiful brunch Bellini variations. 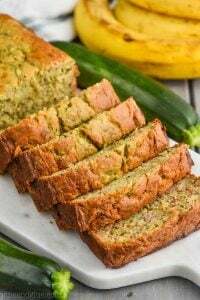 Give those two ingredients a good shake. 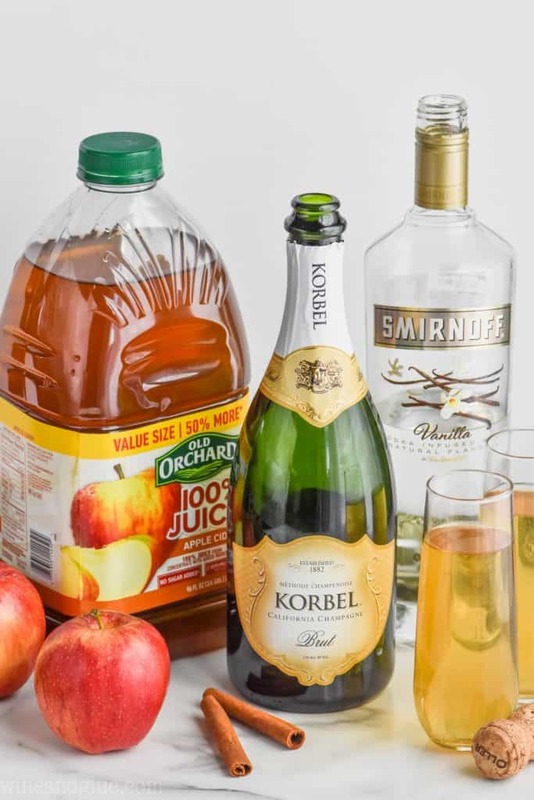 CHEERS to anything and everything fall and Happy Brunching! 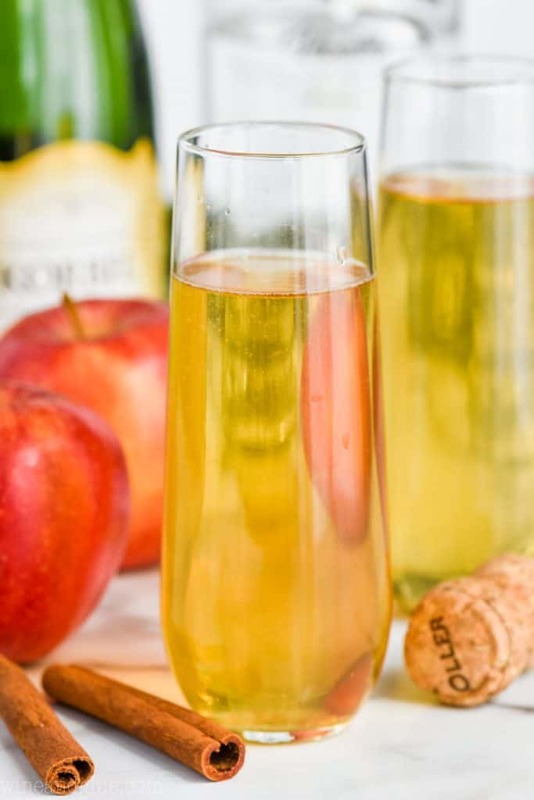 This Apple Pie Bellini Recipe is only THREE ingredients. 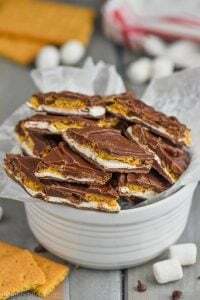 So easy to make, and absolutely delicious. 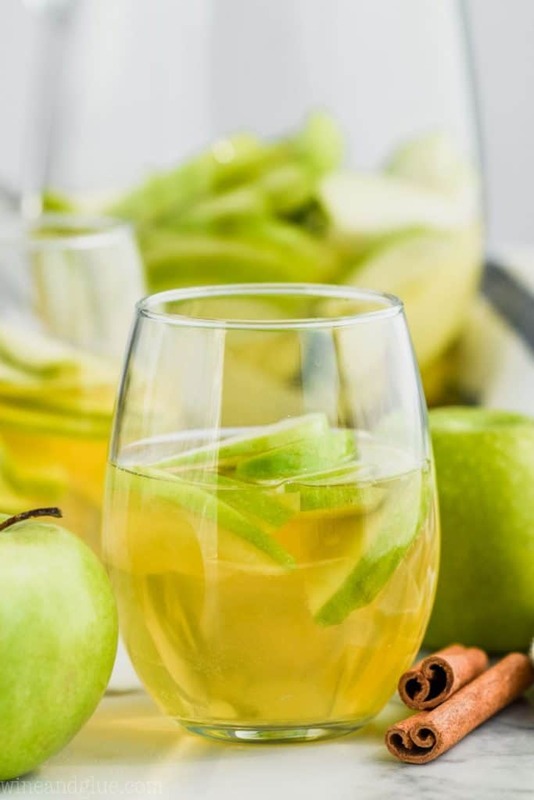 The perfect easy fall cocktail! 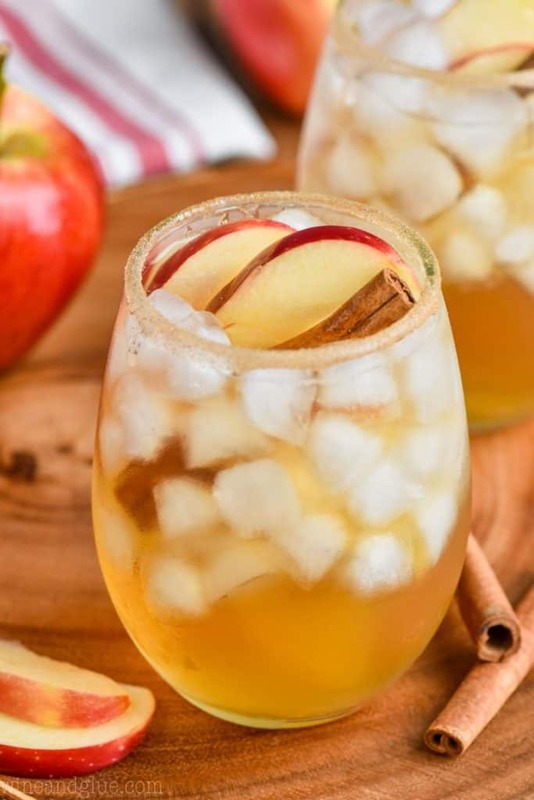 Shake together the vanilla vodka and apple cider. Pour into a champagne glass. 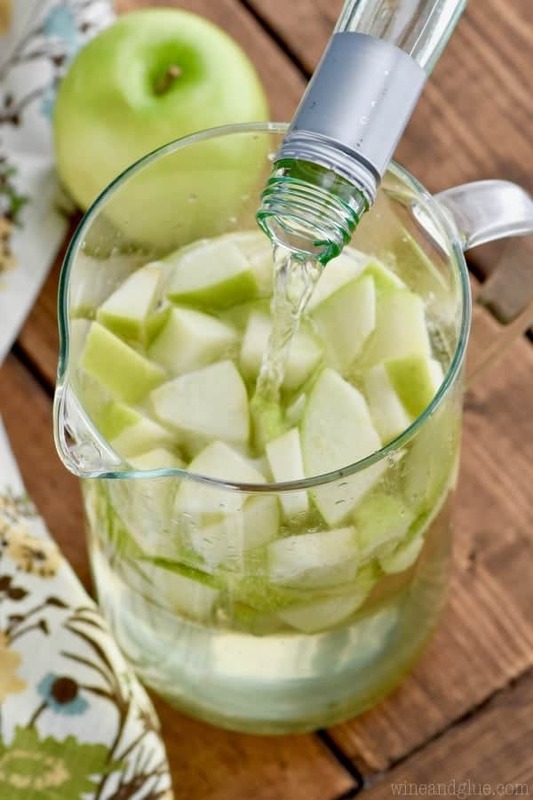 Top with chilled champagne and enjoy!